Charlton Heston and Rex Harrison portray two of the Renaissance's most colorful figures in this historical drama based on Irving Stone's best-selller. When Pope Julius II (Harrison) commissions Michelangelo (Heston) to paint the ceiling of the Sistine Chapel, the artist initially refuses. 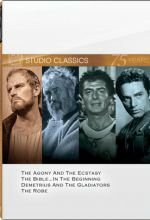 Virtually forced to do the job by Julius, Michelangelo later destroys his own work and flees Rome. 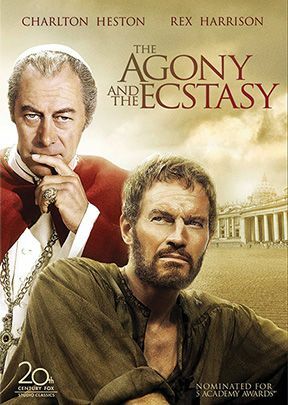 Nominated for an Oscar for Cinematography and named one of the year's best films by the National Board of Review, The Agony and the Ecstasy is a fascinating dramatization of the battle of wills behind one of the world's artistic masterpieces.